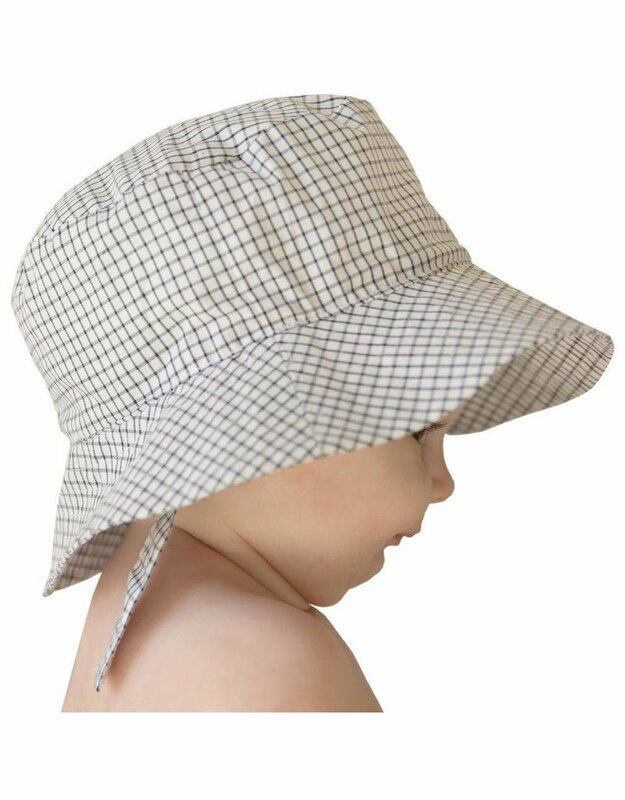 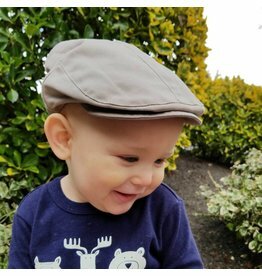 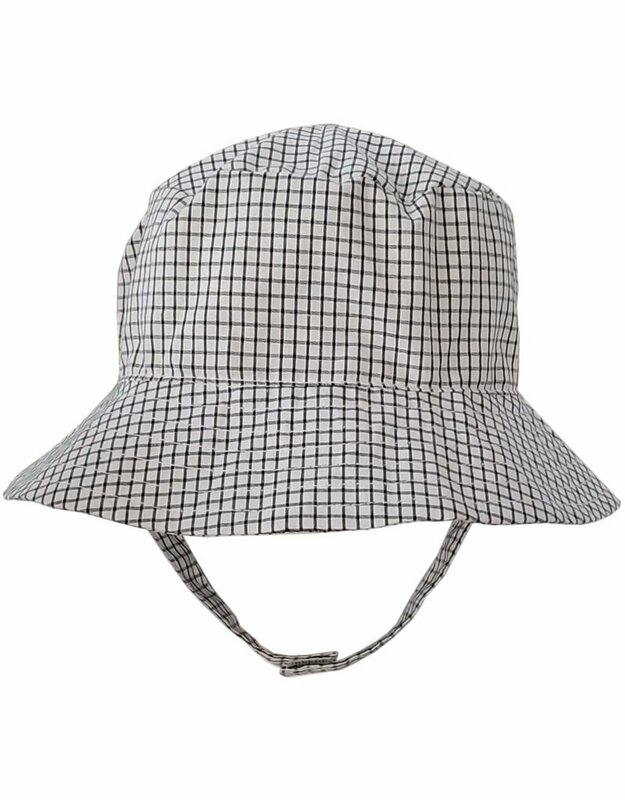 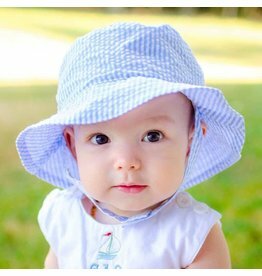 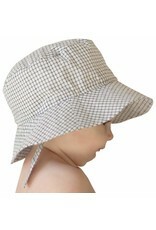 Perfect for the beach, and everyday wear, this lightweight UPF 25+ bucket style sun hat is functional and cute. 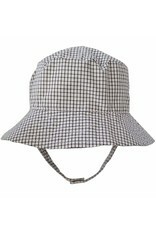 This one is a black and white windowpane or boxter plaid. 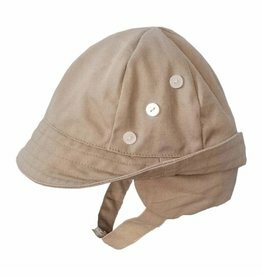 The chin strap velcros in place to keep hat in place.